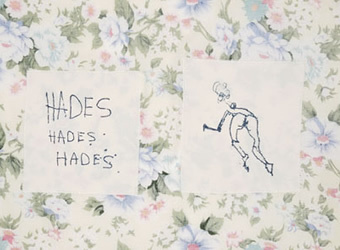 Tracey Emin. Screenprint on cotton stitched onto printed fabric. Born in 1963 and a graduate of the Royal College of Art, Emin's famously confessional style applies artistic form to the often difficult circumstances of her personal life. 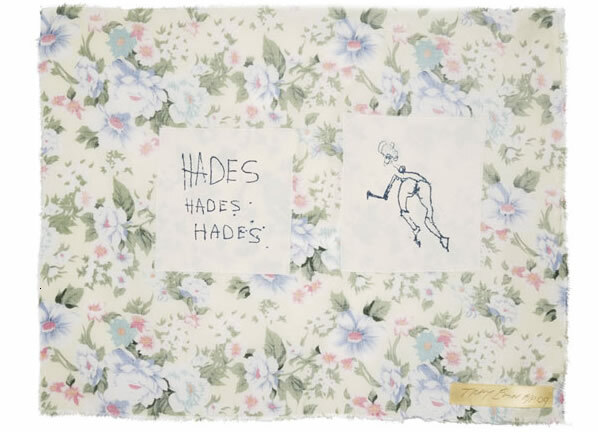 One of the best known of the so-called 'YBAs', Emin works in a wide variety of mediums from installation and video to collage, drawing and print.